swim up the river Inarinjoki, which is slightly smaller but more diverse as far as fishers are concerned. There areas of rapids occur more frequently and the river is more varied. The river Inarinjoki also flows through the beautiful landscape of Upper Lapland, in places in steep river valleys. The roads in the area are good, thus allowing easy access to fishing places. Especially in the upper reaches, the water in the river Inarinjoki is slightly brownish. Otherwise the water in the river is only slightly discoloured, almost clear. 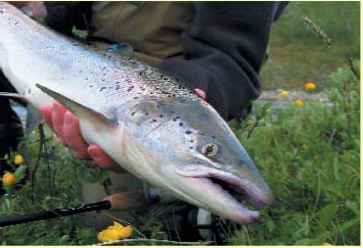 The river and rapids are very diverse, thus in practice enabling all kinds of salmon fishing techniques. Fishing downstream is mostly traditional fly-fishing. The banks are gravel in many pools and are easily accessible. Wading gear is a must. There are also good spots in many places for salmon fly-fishing. 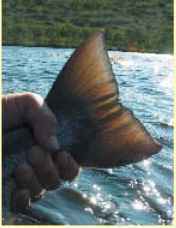 Fishing is predominantly fly-fishing. The area lends itself to fishing from the bank. Single-handed rods should be class 6-8 and about 9 feet long, two-handed rods should be in class 8-10 and 12-14 feet long. Since long casting distances are not necessary, novices can also get a taste for fishing. In some places fly-fishing from a rowing boat works (harling). Duration 6 days for 5 persons. Accommodation in 85 m2 suite (Tuovvi and Lohijalka). Dining in the restaurant and at fishing locations. Breakfast, dinner, supper, snack if required, incl. non-alcoholic drinks with meals, transfer to/from Ivalo Airport and transfers to fishing sites. 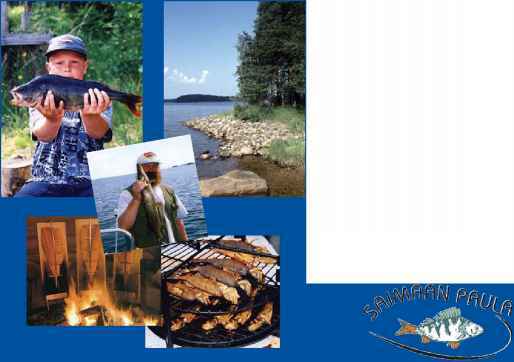 Fly-fishing permits and the services of a guide. Group size 4-8 persons luxury suites in the immediate vicinity of the main building of the Kalastajan Majatalo in Karigasniemi. The suites feature a sauna, shower, WC, fire place, TV, large terrace.